1 pinch flaky sea salt. Break the burrata in half and place each half in the bottom of a small bowl or 8oz glass. 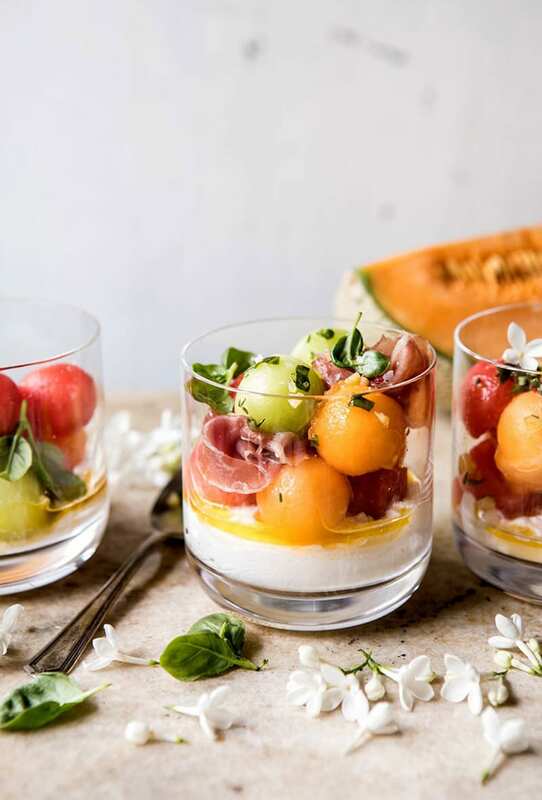 Over the burrata, layer the melon balls, basil, and mint. Top with a slice of prosciutto. At this point the salad can be covered and placed in the fridge for up to 6 hours. To make the vinaigrette, combine all ingredients in a blender and blend until smooth. Drizzle over the vinaigrette and serve.